If the Saudi halal cosmetics market predicted growth rate is anything to go by, Halal personal care products are continuing to gain momentum. The projected growth rate of 15 percent between 2015 and 2020 is just an indication of the potential of this growing trend (read more here). And it doesn’t stop there, with consumers also seeking out the holistic benefits of Chinese medicines. So are these the ‘new naturals’? Looking back at 2015, it seems so. Indeed, according to a report by Dubai Authorities and Thomson Reuters through the Global Islamic Economy Summit 2015, reported in November (read more here), the demand for halal cosmetics is growing both with Muslims and globally. The report highlighted the cosmetics giants who are forging ahead in the market, with the likes of Estée Lauder blazing an acquisition trail of companies aimed at Asian consumers. L’Oréal, for example, has acquired Chinese make-up and skincare brand Yue-Sai in a bid to expand in the East. More tellingly, according to the report the demand for halal products is greater than total sales in Germany and India. Coming to Chinese medicine now, the rise and rise of Jahwa-owned Herborist brand is a clear indication of the popularity of these products amongst consumers. The company has had a stellar year, first launching in the UK back in April as part of its European expansion plan (read more here), then launching in North America in August in a bid to capitalize on the market with its Chinese traditional medicine techniques (read more here). Most recently, in September, the company teamed up with a Japanese partner in order to manufacture its products in France and Japan (read more here). The company’s global onslaught is a clear indicator of the desirability of herbal-based medicinal cosmetics products. Indeed, the figures speak for themselves. According to a report launched in September, the market share for herbal beauty products has increased considerably in comparison to synthetic products thanks to their popularity with consumers. Products such as herbal skin care, hair care and make up items are said to be on the rise due to increased awareness of harmful chemicals added to synthetic products. There were a number of mergers and acquisitions that gave a nod to the importance placed on the market by key players in the industry. US-based cosmetics ingredients and industrial lubricants company INOLEX signed an agreement in April to acquire ieS LABO, a French manufacturer of natural and organic plant and herbal extracts for the cosmetic industry. Meanwhile Italian naturals cosmetics brand Bottega Verde revealed plans in June this year to expand its network with 20 new openings in gulf countries. And with the company’s products based on herbal ingredients, it’s a clear sign that the gulf countries are just as welcoming to herbal-based cosmetics products as the rest of the world. Chief Executive Officer Benedetto Lavino said at the time, “All stores are doing very well as our products are based on natural ingredients and are very well-accepted in these countries.”. However, one of the biggest nods to the gravitas given to the herbal and Chinese-based cosmetics market is Chinese direct sales giant Amway opening the US$13 million botanical research center in October. 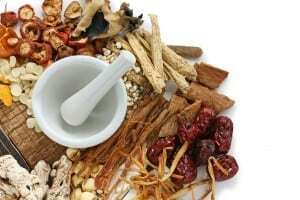 The centre, named The Amway Botanical Research Center (ABRC), will be used to study plants associated with traditional Chinese medicine for potential future use in its products. George Calvert, Amway’s Chief Officer of Global R&D and Supply Chain said at the time, “The new ABRC is our effort to research and understand Chinese botanicals to a greater extent – using the most advanced technology and scientific practices – and integrate the findings into our products.”. Will companies continue to invest in the herbal and Chinese-based cosmetics market come 2016? With the figures speaking for themselves, it would seem foolhardy not to dip a tentative toe into the water to cater to a growing consumer base while boosting profits in return.